The question of whether to charge clients for pool and landscape design work is one that many designers — from those just starting out to seasoned professionals — often face as they consider strategies to grow their business. While books and articles full of advice on pricing strategy abound, that advice is perhaps not always a perfect fit for pool builders or landscape designers. As one classic study on strategy emphasizes — "If there were only one ideal position, there would be no need for strategy." Of course, if you haven’t been charging for your design work — perhaps you might not see a reason to change your approach. After all, as one study notes, many customers "behave as though only one factor matters in the buying decision: price." And many clients, accustomed to free quotes, free estimates, and perhaps even a free gift with purchase, might not expect to have to pay for even the most intricately detailed custom design. However, while giving away a free soft drink can be a winning strategy to boost sales at the convenience mart — that approach might not be the best strategy to model when improving your own closing ratio. When there are many different approaches (just how many? check out how to charge for landscape designs — including three mistakes to avoid), then what actually works best? For some designers, choosing to charge clients for design work can seem risky if no one else in their market seems to be doing so. For Chris Anderson, however, charging his clients did much more than just boost his sales numbers. It also helped him create a far stronger sense of trust and loyalty with his clients. When Chris Anderson started designing with Pool Studio — he saw an impressive jump: "Our average project went from $70,000 dollars to $300,000 a project." One reason for that jump, Anderson says, is that he could use Pool Studio to show his clients much more than their future pool — and, as he began to design and then show his clients increasingly complex custom exterior spaces, Anderson recognized the need to improve the sales process. "When you are a designer charging for designs in a market where no one else is charging, you create a question in the consumer's mind. ‘Hey, this guy charges and those guys don't. What am I not getting if I use the guys that are free? What could I have had if I used the guy that charges?’"
"I think what most people don't realize about charging for designs," Anderson says, "is you bring more professionalism when you charge for a design. What I mean by that is, the consumer is not used to getting quality for free. And what I mean by that further is, what have you ever gotten for free that was worth anything? What have you ever gotten for free that somebody put a lot of time into?" "When presented in the right way, that value comes with a price." "By charging, you create a completely different environment and I don't care if it's a $30,000 pool or a $5,000,000 pool. There needs to be some sort of fee to establish professionalism, [and] to establish the proper relationship with the client," he also notes, "so that when they do take your design and give it to somebody else, which inevitably is going to happen, you feel like you at least got something for your work." Anderson suggests that designers who are wary of beginning to charge clients start with just one project, and start by charging even just a $25 or $50 fee — he started out charging $100, and today he charges "from $1500 to $5000 for a pool design." Stand out: In response to designers who protest that "nobody else in my market charges," Anderson says, "Why don't you be the one that's different and stands out? Because we know in this industry you will be successful if you stand out." Add value for the client: "If people are running around doing it for free, what is their value?" Anderson asks. "Once you start charging you realize you are worth more and more. You gain experience and you raise your price because you realize that people are going to pay for that value and you can provide that value so it makes you a better designer over all." Challenge yourself to do your best work: "As a designer," Anderson says, "I find that I do better designs when I'm charging because there is more expected from me. I have an obligation to present something that is going to be quality. So instead of getting a project done the night before, I hold myself to a higher standard." Motivate the client: When you charge for designs, Anderson explains, "the client treats you a totally different way. They'll show up on time to meetings. When it's free sometimes they'll miss your meetings." Get Critical Feedback: Clients who are paying for designs are more likely to tell you what they really think, Anderson points out, instead of "just telling you they like it and lying to you and send[ing] you off to go to the next guy. If they're paying for it, then they're invested." "I encourage my clients," Anderson says, "'hey, you're paying for this design, you be as honest and upfront as you want to with me. Tell me exactly how you feel because I don't want to design something for you that you're not happy with.' So you create a sense of trust and loyalty with the client by charging the client. I know that sounds crazy but it's so true. They respect your time more [and] they will communicate more." Like Chris Anderson, Jeromey Naugle also expresses the wish that more designers in the industry would charge for their design work. "You have to start choosing your customers, not letting your clients choose you," Naugle says. As researchers have pointed out, "the very tactics [many] think will increase ease of purchase often do the opposite." When a designer worries, Naugle offers as an example, that a prospect will say, "No, I don’t want you coming into my house then if you’re going to charge for it" — the fact is that, "in the long run, most likely the guy wasn’t going to go with you anyhow if you weren’t the cheapest and he’s going to tell you that." Naugle’s pricing strategy mirrors tips from negotiation researchers, who point out that "one of the most common mistakes salespeople make" in negotiations where they’re "priced significantly higher than what their competitors are charging," is that even when "the high price is justified by the value proposition," salespeople will "apologize for having a high price. They do this when they say ‘I understand it’s pricey, but…’ or when they hastily signal a willingness to adjust the price." Instead, the study suggests, "always justify your offer, but never apologize for it. When you apologize, you signal that even you don’t think the price is appropriate, and you give the other side license to haggle. The entire frame of the negotiation becomes about price, when what you really want to discuss is value." In order to keep the focus on the value that he is offering his clients, Naugle also takes care to be clear and upfront with his clients about his pricing strategy. No upfront pricing: "If I go all out on a design that I know is way over their budget, and I send them a price at the exact same time, I’ll probably never hear from them," Naugle says. Flat $2500 fee for designs >$100,000: By charging a flat fee, Naugle says, he makes sure that his clients "are already invested in me." Then, "if they decide to do the project, I take the $2500 off the cost of the project. If, he adds, his clients see his price and then "send the design somewhere else where someone is going to do it for $1000 cheaper," he still gets paid for his design work. Cost-plus contracts for projects >$200,000 (rate negotiated with client): "We have an open book policy with all of our clients. Even if they decide to do a flat fee/flat estimate and they want to see what we made on the job, I’ll show them what we’ve made. They are the ones that are rolling the dice how it’s priced out and how it’s done. But typically for a flat estimate, we are between 30% to 35% markup and when it comes to doing a cost plus we are anywhere between to 22% to 27.5%." 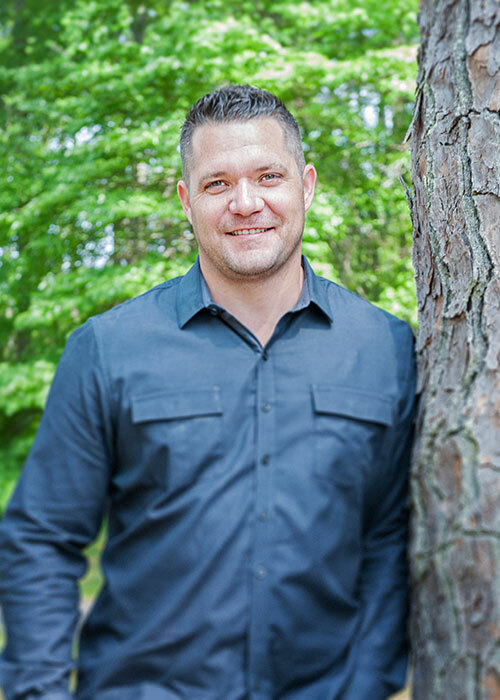 One reason Naugle finds it so easy to be straightforward with his clients about his pricing strategy is that he uses the necessary tools to make sure his estimates are as detailed and accurate as possible. "That’s the important thing that Pool Studios helps us with," Naugle says, "because when we are drawing stuff up, and you go into 3D, it shows you what will work and what won’t work for certain terrains, elevations and everything and that really helps you know that your design is going to work and so when you price it out. You just have to price it out correctly." One of the most popular pricing strategies is the "good, better, best" approach. Whether offering magazine subscriptions or complete renovations, choosing to offer clients an increasing array of options and features at increasing price points is a successful strategy — and research has proved not just that it works, but that it also often results in higher margins. 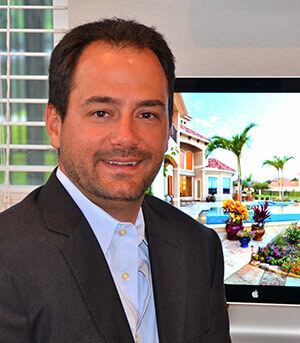 Initially, Adamczyk did not charge for his design work. However, he found that a significant number of potential clients were requesting designs — but they didn’t plan to build with his company. Because Adamczyk’s custom designs are so unique, his projects take time to plan and create. By changing his pricing strategy, he was able to come up with a way to meet the needs of all of his potential clients — even indecisive clients who perhaps weren’t even ready to build just yet. 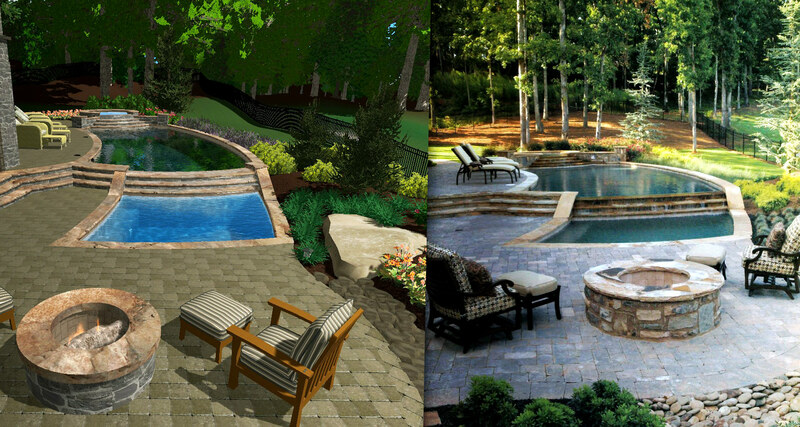 In order to reach more clients, without risking having his free custom work being shopped around to other builders, Adamczyk uses Pool Studio — creating quick 2D sketches for free to catch the client's eye, and then charging for the more detailed 3D renderings that motivate his clients to sign a contract. 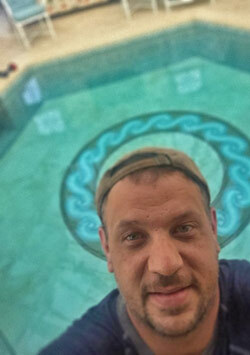 His approach works: Adamczyk typically charges between $600 to $1000 for a 3D swimming pool rendering — and his innovative pools have not just earned him many more clients. His work has also been featured on TV six times and won him multiple awards. Do you charge clients for your design work? We’d love to hear your thoughts — how do you decide your own best approach?